1 1 When we had taken leave of them we set sail, made a straight run for Cos, and on the next day for Rhodes, and from there to Patara. 2 Finding a ship crossing to Phoenicia, we went on board and put out to sea. 3 We caught sight of Cyprus but passed by it on our left and sailed on toward Syria and put in at Tyre where the ship was to unload cargo. 4 There we sought out the disciples and stayed for a week. They kept telling Paul through the Spirit not to embark for Jerusalem. 6 we bade farewell to one another. Then we boarded the ship, and they returned home. 7 We continued the voyage and came from Tyre to Ptolemais, where we greeted the brothers and stayed a day with them. 8 On the next day we resumed the trip and came to Caesarea, where we went to the house of Philip the evangelist, who was one of the Seven, 2 and stayed with him. 9 He had four virgin daughters gifted with prophecy. 10 We had been there several days when a prophet named Agabus 3 came down from Judea. 12 When we heard this, we and the local residents begged him not to go up to Jerusalem. 15 After these days we made preparations for our journey, then went up to Jerusalem. 16 Some of the disciples from Caesarea came along to lead us to the house of Mnason, a Cypriot, a disciple of long standing, with whom we were to stay. 17 6 When we reached Jerusalem the brothers welcomed us warmly. 18 The next day, Paul accompanied us on a visit to James, and all the presbyters were present. 19 He greeted them, then proceeded to tell them in detail what God had accomplished among the Gentiles through his ministry. 20 They praised God when they heard it but said to him, “Brother, you see how many thousands of believers there are from among the Jews, and they are all zealous observers of the law. 21 They have been informed that you are teaching all the Jews who live among the Gentiles to abandon Moses and that you are telling them not to circumcise their children or to observe their customary practices. 22 What is to be done? They will surely hear that you have arrived. 23 7 So do what we tell you. We have four men who have taken a vow. 24 Take these men and purify yourself with them, and pay their expenses 8 that they may have their heads shaved. In this way everyone will know that there is nothing to the reports they have been given about you but that you yourself live in observance of the law. 26 So Paul took the men, and on the next day after purifying himself together with them entered the temple to give notice of the day when the purification would be completed and the offering made for each of them. 29 For they had previously seen Trophimus the Ephesian in the city with him and supposed that Paul had brought him into the temple. 30 The whole city was in turmoil with people rushing together. They seized Paul and dragged him out of the temple, and immediately the gates were closed. 31 While they were trying to kill him, a report reached the cohort commander 11 that all Jerusalem was rioting. 32 He immediately took soldiers and centurions and charged down on them. When they saw the commander and the soldiers they stopped beating Paul. 33 The cohort commander came forward, arrested him, and ordered him to be secured with two chains; he tried to find out who he might be and what he had done. 34 Some in the mob shouted one thing, others something else; so, since he was unable to ascertain the truth because of the uproar, he ordered Paul to be brought into the compound. 37 Just as Paul was about to be taken into the compound, he said to the cohort commander, “May I say something to you?” He replied, “Do you speak Greek? 1 [1-18] The third “we-section” of Acts (see the note on ⇒ Acts 16:10-17). 2  One of the Seven: see the note on ⇒ Acts 6:2-4. 3  Agabus: mentioned in ⇒ Acts 11:28 as the prophet who predicted the famine that occurred when Claudius was emperor. 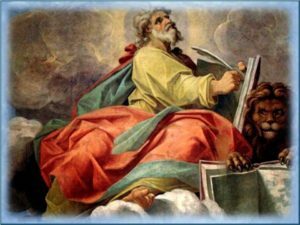 4  The symbolic act of Agabus recalls those of Old Testament prophets. Compare ⇒ Isaiah 20:2; ⇒ Ezekiel 4:1; ⇒ Jeremiah 13:1. 5  The Christian disciples’ attitude reflects that of Jesus (see ⇒ Luke 22:42). 6 [17-26] The leaders of the Jewish Christians of Jerusalem inform Paul that the Jews there believe he has encouraged the Jews of the diaspora to abandon the Mosaic law. According to Acts, Paul had no objection to the retention of the law by the Jewish Christians of Jerusalem and left the Jews of the diaspora who accepted Christianity free to follow the same practice. 7 [23-26] The leaders of the community suggest that Paul, on behalf of four members of the Jerusalem community, make the customary payment for the sacrifices offered at the termination of the Nazirite vow (see ⇒ Numbers 6:1-24) in order to impress favorably the Jewish Christians in Jerusalem with his high regard for the Mosaic law. Since Paul himself had once made this vow (⇒ Acts 18:18), his respect for the law would be on public record. 8  Pay their expenses: according to ⇒ Numbers 6:14-15 the Nazirite had to present a yearling lamb for a holocaust, a yearling ewe lamb for a sin offering, and a ram for a peace offering, along with food and drink offerings, upon completion of the period of the vow. 9  Paul is informed about the apostolic decree, seemingly for the first time (see the note on ⇒ Acts 15:13-35). 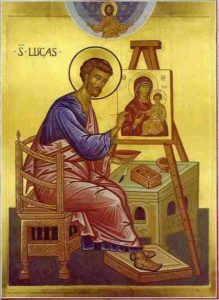 The allusion to the decree was probably introduced here by Luke to remind his readers that the Gentile Christians themselves were asked to respect certain Jewish practices deriving from the law. 10  The charges against Paul by the diaspora Jews are identical to the charges brought against Stephen by diaspora Jews in ⇒ Acts 6:13. Brought Greeks into the temple: non-Jews were forbidden, under penalty of death, to go beyond the Court of the Gentiles. Inscriptions in Greek and Latin on a stone balustrade marked off the prohibited area. 11  Cohort commander: literally, “the leader of a thousand in a cohort.” At this period the Roman cohort commander usually led six hundred soldiers, a tenth of a legion; but the number in a cohort varied. 13  The Egyptian: according to the Jewish historian Josephus, an Egyptian gathered a large crowd on the Mount of Olives to witness the destruction of the walls of Jerusalem that would fall at the Egyptian “prophet’s” word. The commotion was put down by the Roman authorities and the Egyptian escaped, but only after thousands had been killed. Four thousand assassins: literally, sicarii. According to Josephus, these were political nationalists who removed their opponents by assassination with a short dagger, called in Latin a sica. 14  In Hebrew: meaning, perhaps, in Aramaic, which at this time was the Semitic tongue in common use.